Moshe Yaniv tries to unravel how genetic and epigenetic gene switches are involved in a wide range of biological processes. He is an Emeritus Professor at the Institut Pasteur and Directeur de Recherche (CNRS). He received a Master degree in Chemistry from the Hebrew University in Jerusalem (1961) and a Ph.D in Molecular Biology from the University of Paris (1969). He was a postdoctoral fellow in LMB Cambridge with Dr Fred Sanger and Stanford University with Professor Paul Berg. He has headed the Gene Expression and Disease Unit at the Pasteur Institute (1975-2006), chair of the departments of Molecular Biology (86-88) and Biotechnology (92-94). He was a pioneer in the field of DNA tumor viruses like Polyoma, SV40 and Papilloma. He later combined it with studies on chromatin, tissue specific gene expression and mouse models for human diseases including Type II diabetes, polycystic kidney disease as well as cancer. He is the author of more than 300 publications in the most prestigious scientific journals. 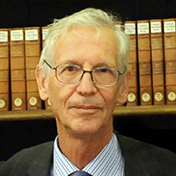 Dr Yaniv is a member of the French Academy of Sciences, EMBO (chairman of the council, 1996), foreign honorary member of the American Academy of Arts and Sciences, Academia Europea, European Academy of Cancer Sciences etc. He received the Charles Léopold Mayer (French Acad. of Sciences, 1995), Mitjavie Prize for cancer Research (French academy of Medicine, 2006) and the Nature Award for Mentoring in Science (2011).